The Kansas Sheriffs' Association is comprised of Sheriffs from across the State who proudly serve and protect the citizens of Kansas. 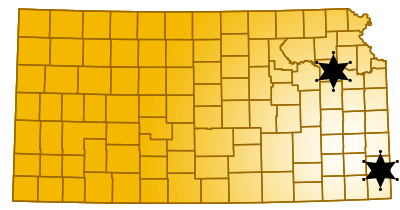 The Association was incorporated in 1957 for the purpose of uniting the 105 County Sheriffs of Kansas as well as to educate fellow officers and the public regarding law enforcement issues. 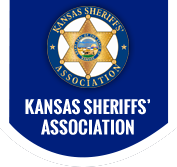 Important focuses of the Kansas Sheriffs' Association include: support of legislation that assists law enforcement, scholarships for students, and education and training for Sheriff Offices.